Due to the huge success of our first River and Ocean Luxury Show last March, the demand for another show was high which was expressed by our customers and partnered cruise lines. 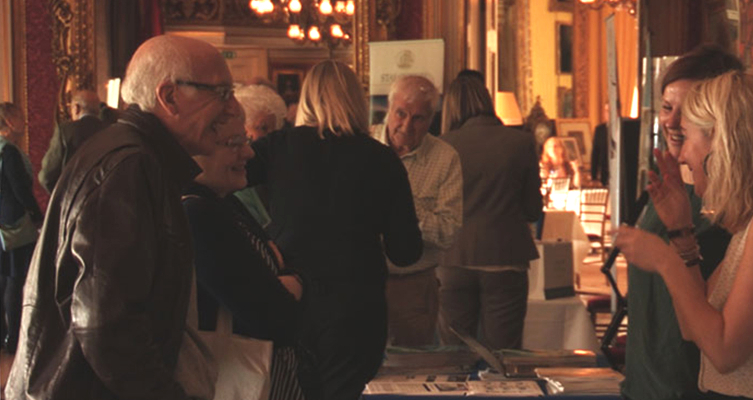 On Thursday 2nd March 2017 we held our second River and Ocean Luxury Show at the stunning Goodwood House in Chichester. The weather was definitely on our side as it was the only glorious day of the week. We were lucky enough to have our very own Planet Cruise weekly presenter, Keith Maynard, join us for the day to provide guests with some very insightful and helpful talks throughout the event. The event was free for all to attend. All guests received a complimentary cup of tea, coffee or orange juice and homemade biscuits upon arrival, while being able to take in the grand rooms within the house at their own leisure. We saw over 20 of our partnered ocean and river luxury cruise lines attend the show who were on hand to educate our guests on their brands and spark up some valuable & insightful conversations. Special offers on the day included $200 onboard credit on selected sailings, complimentary beverage packages and up $100pp onboard spend. Plus, free bottles of champagne and wine, free Kindles and luxury hampers with bookings on selected cruise lines. Other highlights of the day included a prize draw competition in which entrants were in with the chance of winning a luxury Fortnum and Mason hamper. The expert talk theatres were also noted as a main event highlight. We would like to thank everyone who attended and we hope that you all enjoyed your day. Thank you to R. Larkin for sending us in your personal feedback: "I want to thank the Marketing Team and all those involved for the excellent event held at Goodwood House last week. We all found it very useful as well as entertaining and although we didn't book anything on this occasion it gave us a number of ideas for the future. The venue, welcome and availability of information as well as the presentations led by Keith Maynard were very well run. If I was to make a comment it would be to have video/film of the various cruise companies. It is always better to see as well as hear what each has to offer which can then be followed by a Q&A session. Overall, we all enjoyed the day and the location was second to none." Customer feedback is always much appreciated! We will look in to the possibility of adding cruise line film in future and are so pleased that you found the day useful and enjoyable. If you were unable to attend the River and Ocean Luxury Show do not worry as we have the Planet Cruise Holiday Show coming up. The next show will be taking place on Sunday 25th June at the renowned AMEX Stadium in Brighton. This is a show you are not going to want to miss out on as you’ll have the chance to meet Planet Cruise presenters Keith Maynard and Shaun Ryan. Please sign up to our email marketing list from our website homepage and keep checking the cruise events page for updates on this show and others we have coming up throughout the year.